Tawanda and his wife Shupi endeared themselves to Sydney churches while studying at Moore College and had just been home in their native Zimbabwe a matter of months when the country, as well as neighbouring Mozambique and Malawi were hit by Cyclone Idai. The Cyclone swept over the port city of Beira on Mozambique's Indian Ocean coast, on Friday 15th March. It is estimated that 90% of that area is now underwater, turning formerly dry and desolate areas into islands in the midst of inland seas. In eastern Zimbabwe, only a few hundred kilometres from Beira, areas such as the beautiful Rusito Valley have been severely damaged and are cut off from the outside. Tawanda and his colleagues Antony Dandato and Robinson Gezimati, are working in university ministry and the Honeyworld bee-keeping enterprise in Zimbabwe. They have links and support from Anglican Aid and Sydney parishes such as Maroubra, Wild Street, Church by the Bridge, St Ives and Norwest. Their families live in the flood hit Rusito Valley. 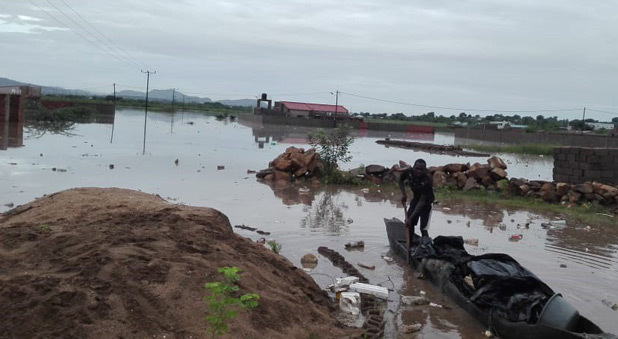 The Archbishop of Sydney's Anglican Aid has committed an immediate $10,000 in funding for the victims of the flooding in Eastern Zimbabwe. Efforts are underway to rescue those clinging to rooftops and up trees in completely submerged areas. One news report spoke of mothers clinging to trees, throwing their babies onto rescue boats. Elsewhere people were plucked from head-deep water, only to stranded on islands of land which were only partly submerged. The appeal opened by Anglican Aid is online now.